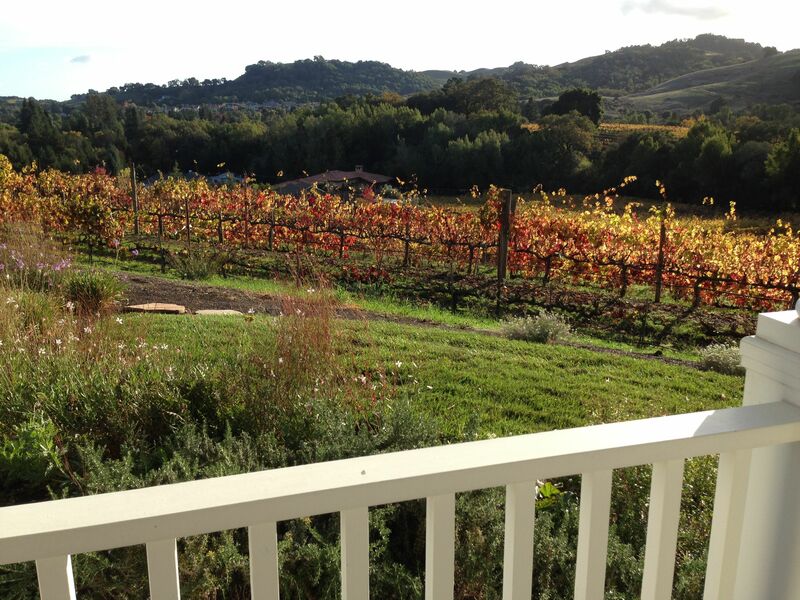 Only ten minutes from The Inn On First, a premier lodging Bed and Breakfast Inn in Napa, is the Coombsville AVA (American Viticultural Area), the newest appellation to be brought into the Napa Valley fold. 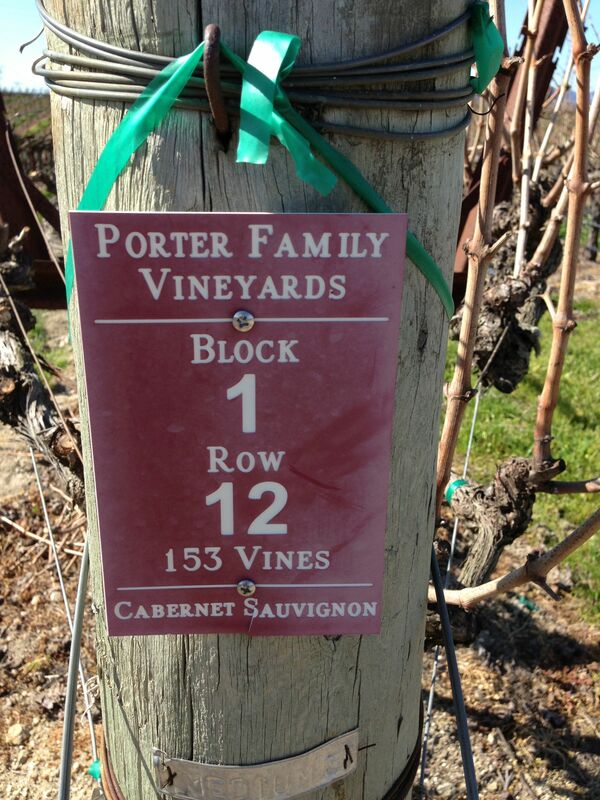 We have had guests visit wineries there and one that stood out was Porter Family Vineyards. 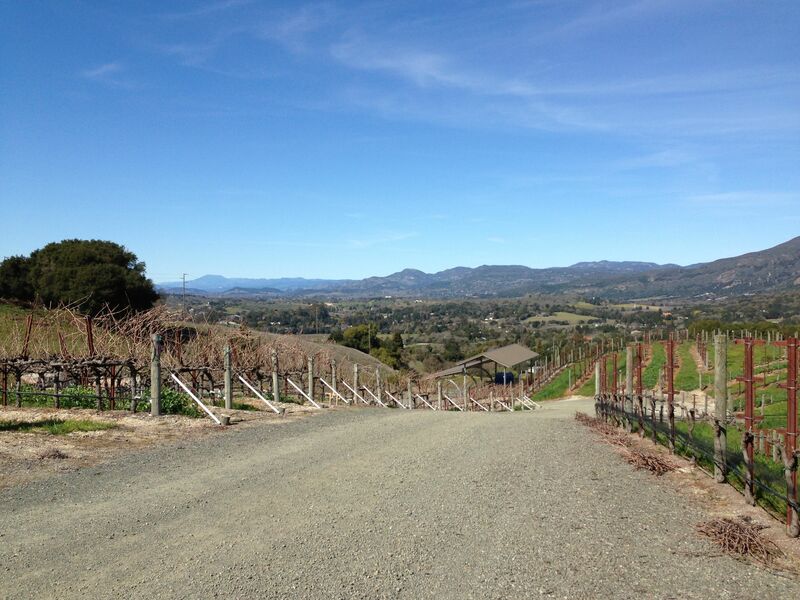 Set into the hillside, you walk along the vines, tour the property, and do the tasting in the cave. 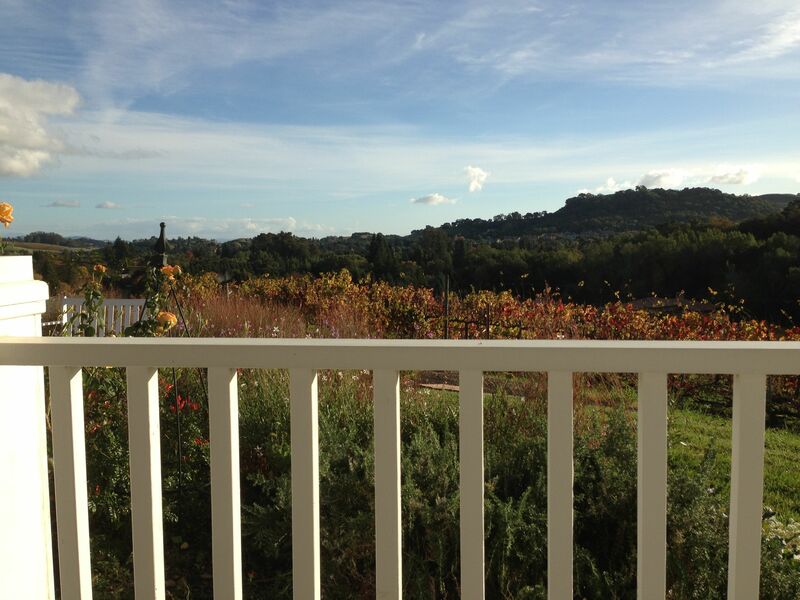 With such beautiful views of Napa Valley, it is hard to leave once you’ve been there, especially when you have a glass of their Atlas Peak Cabernet in hand! From the hillside vineyards and underground winery, the Family makes small amounts of beautifully hand-crafted wines—each one carrying the unique signature of this place. They retain the fossilized footprints of the sandpiper found on the property as a reminder of the incredible history of the winegrowing site, as they turn their heads to the future and the latest in winemaking arts to craft our special wines. We had an opportunity to try their Syrah with light cherry notes and light pepper. It brought to mind a juicy grilled pork chop that I would love to pair with this wine. 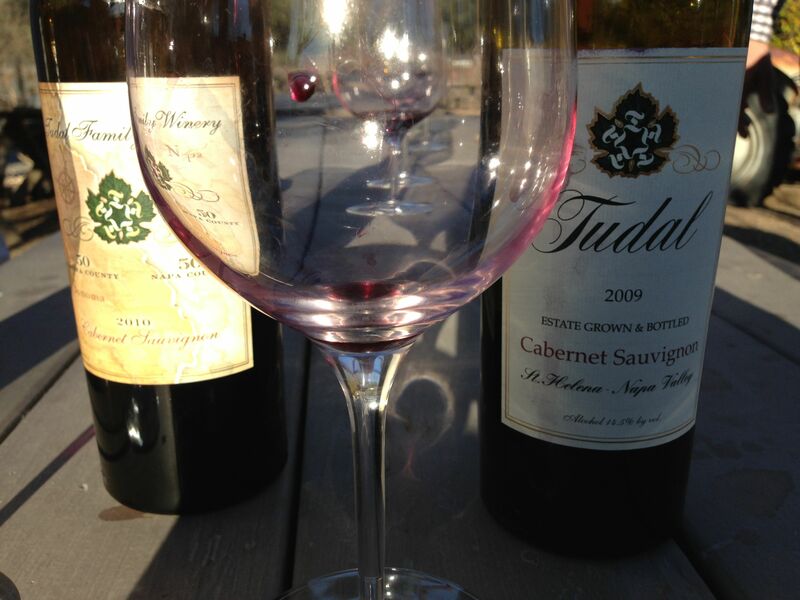 The 1st Cabernet we tried had cinnamon-spice notes with a bit of smokiness. I liked it a lot. We moved onto their signature Sandpiper Red, a Cabernet-Merlot blend that had lovely black licorice flavors and notes of spice. It was their Atlas Peak Cabernet that we loved most of all. It was like having a cherry cough drop in your mouth- I loved it! Wines range from $40 to $70 dollars. 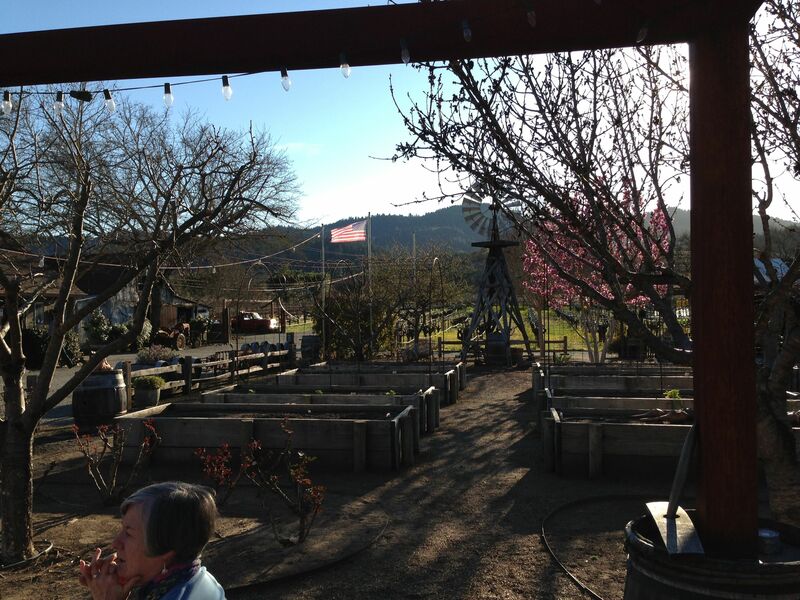 Barnett Winery: great wine, great views, really nice people. 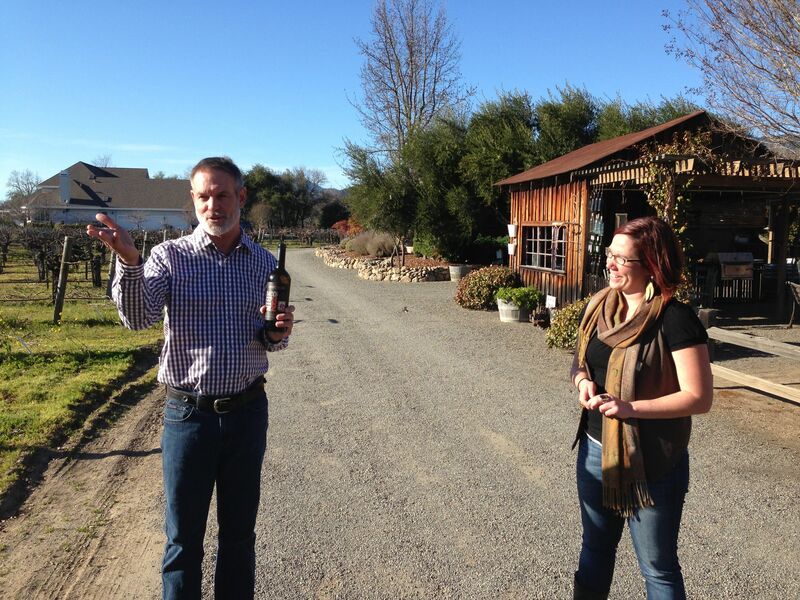 About 40 minutes from The Inn On First, a luxury bed and breakfast inn in Napa, is Barnett Vineyards Winery. Snuggled up on the hillside we call Spring Mountain, and at the end of a narrow, winding road lies the beautiful estate of Barnett. 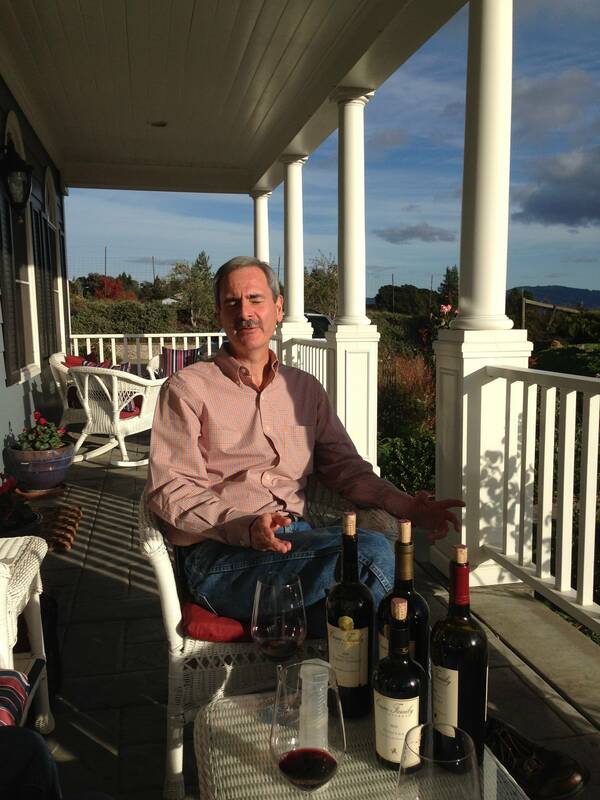 Fiona and Hal Barnett created this vineyard and winery in 1983 with the intent of producing small amounts of hand crafted Cabernet Sauvignon wines from their estate. The vineyards are located at the top of Spring Mountain, at elevation 2,000ft, planted on steep terraces that follow the contour of the land. 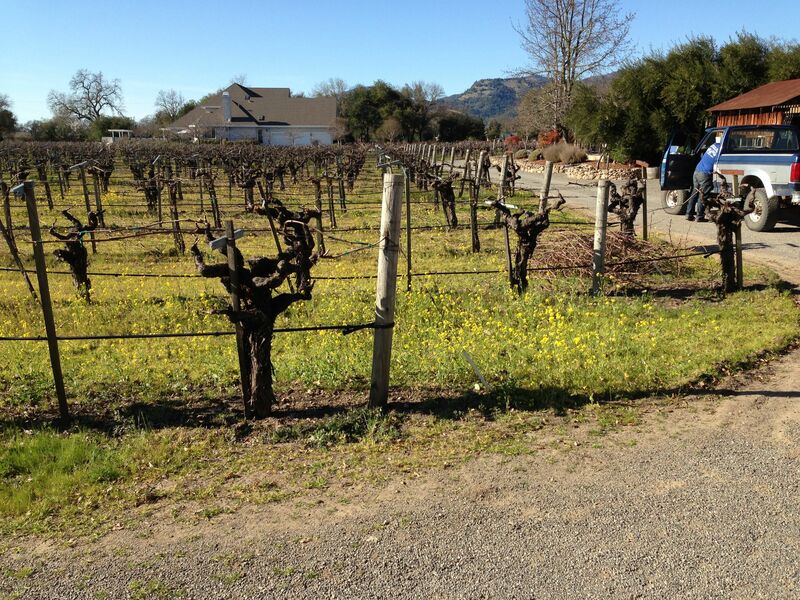 The vines struggle to reach nutrients and water in the soil and, as a result, yield only one to two tons per acre (versus four to five tons per acre on the Valley floor). Grapes are harvested by hand; vineyard row by row, as optimum ripeness and maturity is reached. Fermentation is done in small batches. Producing no more than 6,000 cases per year this is a very small operation. Don’t be fooled, though, in thinking that small is not great. Just the opposite is true. We were pleasantly surprised to taste two different Pinot Noir releases, one with grapes from the Anderson Valley and another with grapes from the Russian River Valley. Both were big on the nose and I expected them to be big on the palate but I was wrong. They surprised me by their lightness, good fruit flavor, what I would call a great jazzy wine (playful on the palate). The Savoy Chardonnay had great butter on the nose, but was evenly balanced with oak on the palate, a nice balance for Jamie (who loves butter) and me (who loves acidity and/or oak). After tasting these three wines in the barrel room our hostess, Nicole, took us to the caves and the brand new tasting area in the nook of the mountain. She brought along 2 cabernets for us to try, the Spring Mountain Cab (estate grown) and the Cyrus Ryan Cab (grapes from Valley floor), Personally I found the Spring Mountain grapes had brighter fruit flavor, while the Cyrus Ryan Vineyard grapes held strong earthy notes, especially cinnamon which I loved. 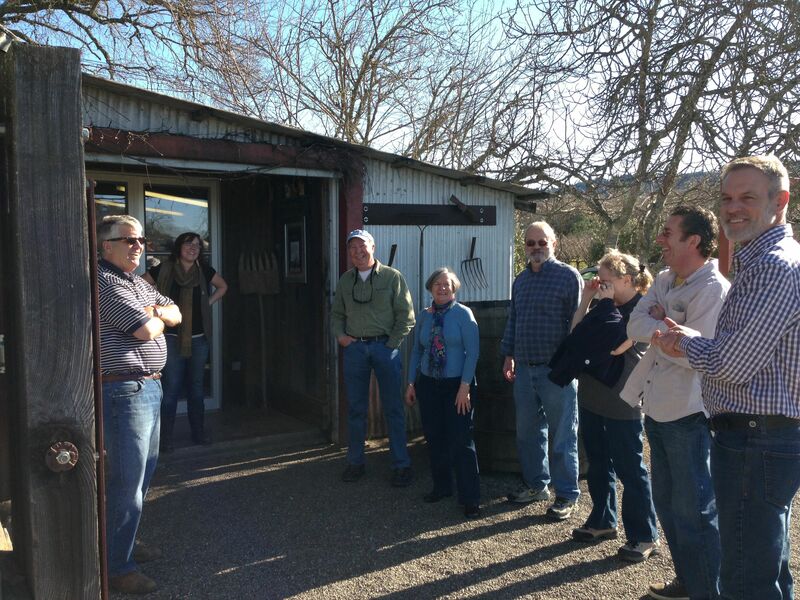 As Nicole gave us the history of the vineyards, the Barnett family, and an overview of their flagship wine, Rattlesnake Cab, she walked us through the caves to a most stellar view of the Napa Valley floor. With tables and chairs to sit and enjoy our wine and each other’s company, we stayed awhile soaking up the ambience. 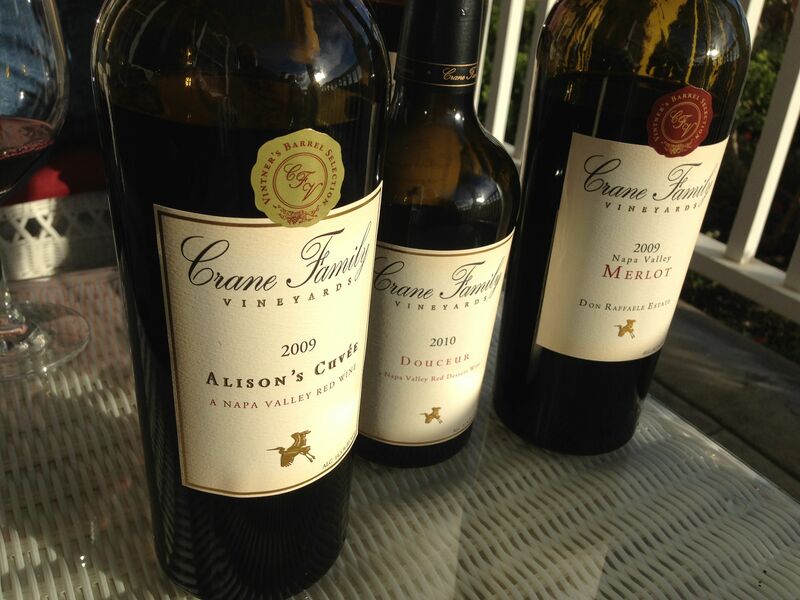 The bulk of their wines range from $30 to $70, with a couple of their single vineyard cabs going for as much as $140. These are wines you will sit on for 7, 10, or 15 years to allow the aging process to bring out the best of the fruit and to reduce the tannins. Overall, a lovely experience and well worth the drive. Although it is not mandatory, Jamie and I place a high expectation upon our guests to purchase when you visit. This is true of most small, family-owned vineyards, and especially those up in the hillsides. Tasting fees for Barnett run $40 per person and is worth it considering the great wines you get to try. Aroma Challenge: want to learn how to identify aromas in wine? Joseph Phelps Winery is now offering an Aroma Challenge, a 90-minute course on how to identify aromas in wine. Tasting 6 different wines over the course of 90 minutes, even with the help of a “wine wheel” that lays out a long list of potential aromas in different varietals, was quite a challenge. The obvious up-front aromas were easy (blackberry, cherry, etc.) but the underlying aromas were much more difficult to identify. With the help of our wine educator (Luba- you were great! ), though, we were taught how to identify those more subtle aromas. In the middle of this seminar you are also presented with 12 glasses of wine with clear liquid, each filled with the essence of aromas you find in wine (6 red wine aromas, 6 white wine aromas) and are challenged to identify what you smell. The wine educator even presents you with identifier cards with pictures representing potential aromas (green apple, pear, banana, or cherries, strawberries, licorice), including a few extra misleading ones. I really thought I had it nailed, scored 100%. Then came the answers- ugh! I scored 50% on the white wine aromas and 80% on the red wine aromas. Boy do I have a lot to learn! Understand that not only do become more educated, but you also get to drink some really great wine. Total cost of the seminar: $50 per person. Well worth the money and the time. Call Joseph Phelps today and reserve your seminar.